Dedicated to the urban commuter, here’s a tote inspired by the humble bicycle. An joyride that’s not only fun but one of the most eco-friendly forms of commute that converts your carbon footprint to a green footprint! A light and spacious tote, designed to make the most of your daily commute. 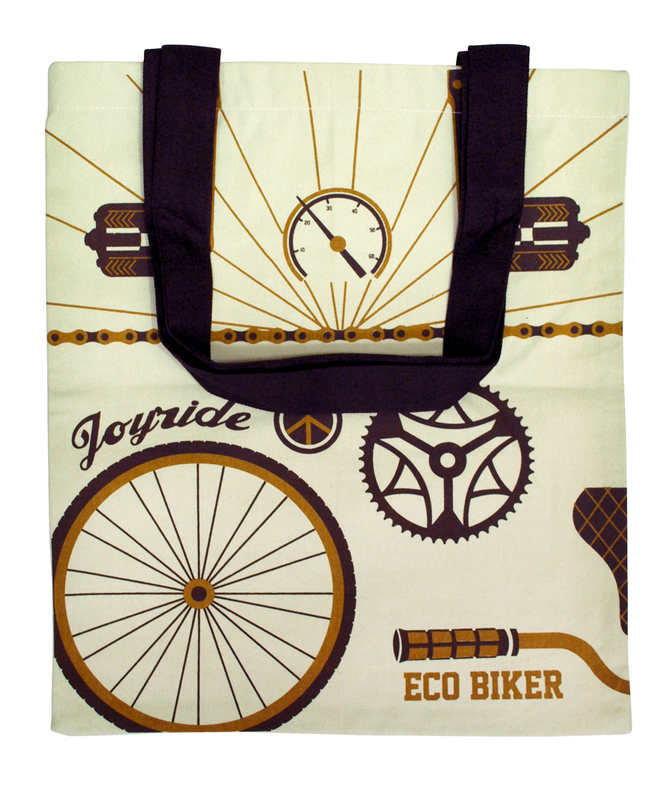 The Eco Traveller totes are created to celebrate the various forms of Eco Friendly travel. Proudly carry one of the funky designs to encourage the habit of taking the bus/carpooling/riding a bicycle or taking a walk. So, hop on to the Clean Planet Eco wagon and reduce your carbon footprint while making a bold style statement.